Whilst Chronic Fatigue Syndrome or M.E, as it is often referred to, has been described as a ‘mystery illness’, medical reports and professionals have a widely held belief that it is caused by either a virus or depression. British medical scientists have also found a relationship between Chronic Fatigue Syndrome and a lack of blood supply to the brain stem in the neck. Whilst I agree with these facts and beliefs in some cases, I believe that there is another greater, but less known, underlying contributing factor to this debilitating illness and that is a physical body whose ‘architecture’ is askew. Having worked with CFS patients and sufferers for many years, I have learned that this illness cannot be classified under one banner and that both the causes and the symptoms vary greatly from one sufferer to another. I have not only developed a theory on how Chronic Fatigue develops for many sufferers, but most importantly, I have had much success in treating and curing it. As an SLM Bodywork practitioner (Myotherapy), I specialise on working ‘hands on’ with the physical body, using massage, acupressure and a range of other techniques. A thorough knowledge of which areas of the body need to be worked on in order to treat the many causes and symptoms is crucial to the successful treatment of patients suffering with CFS. Along with the specialised treatment that I offer, I also recommend other forms of therapy such as naturopathy, homoeopathy, acupuncture, counselling, hypnotherapy and even surgery – when I believe that it is what my patient needs. I originally developed an interest in Chronic Fatigue Syndrome whilst at college, where I was required to submit a major assignment on an illness of my choice. I chose Chronic Fatigue Syndrome because I knew a sufferer. Whilst interviewing my subjects about their initial signs and symptoms, I was very surprised at how simple tiredness and physical aches and pains, which had not been addressed properly many years earlier, had turned into such a debilitating condition such as CFS over a number of years. 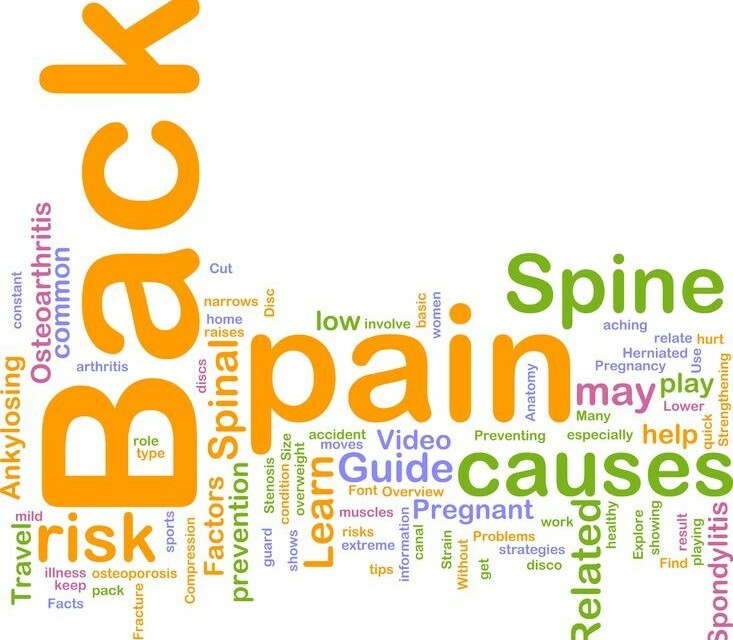 I started thinking about what would have happened if sufferers had received the right treatment for their back pain in the early stages, and how that may have changed the progression of the illness. Intrigued, I contacted the M.E. Society in NSW and through them, and by word of mouth referrals, I started treating a dozen or so diagnosed sufferers. What I noticed was that there was one physical symptom common to them all – a pelvic imbalance which caused one leg to be shorter than the other (in most cases the left leg). As a result of this, they experienced an enormous amount of tension and blockage in their body (especially their spine) for the most part of their day other than when they were lying down. I also noted that the two areas first affected by this tension and blockage was the lower spine (the same area that corresponds to the body’s vital energy points for the liver and stomach), and down the back of the legs (the line of the large intestine meridian that affects digestion and also the stomach). I found this intriguing; as digestion and energy problems are often the start of and basis for Chronic Fatigue (the body has very little energy and can’t digest the goodness out of food to build more up). When someone has a pelvic imbalance, one side of their body doesn’t line up evenly with the other. This puts enormous pressure on their spine (the body’s nerve centre), as well as many of the other joints. It also creates a lot of pressure around the sacrum which affects the sacral pump’s ability to pump cerebral spinal fluid to the brain. I started addressing the relationship between tension, blockages and back pain and the chronic fatigue condition and found that by working on the body using acupressure and massage to re-balance the pelvis and release the tension and blockages that had built up, the sufferers symptoms began to subside. Another interesting thing that I began to notice with my other patients, patients that were struggling with differing conditions of pain and injury unrelated to Chronic Fatigue Syndrome, was that they too reported a 20 or 30% loss in their normal energy levels. Interestingly they also had chronically sore backs, shoulders and headaches e.t.c and similar imbalances in their pelvis. After I treated them with my SLM techniques and rebalanced their muscle system to get rid of their back/shoulder problems e.t.c, they reported a fairly immediate return to normal energy levels. I discovered that as long as I continued to massage and work ‘hands on’ on the physical body of my patients, they felt a lot better. Sometimes the improvement lasted around a week after each of my treatments, sometimes less and sometimes more – and in a few cases it provided a permanent cure! Of the patients I have worked on, some have made a complete recovery very quickly, some have improved slowly, some have had ups and downs along the way, but all have improved at the same rate as the balance and stress levels in their physical body improved. I often describe Chronic Fatigue Syndrome as a physical breakdown. Much like a mental breakdown where the mind can no longer cope with what is expected of it, a physical breakdown is where the body can no longer cope. Many health professionals believe that mental stress is the major cause of illness and I agree, but stress can also be as a result of pushing the body too hard physically, whether it be through work or exercise, not supporting it properly with a good diet, or getting enough of relaxation and sleep. In fact anything that unbalances the body physically, mentally or chemically will cause stress and ultimately a breakdown of some kind. There is a long held belief in traditional Eastern medicine that the spine and the stomach are central and vital energy systems that affect the functioning of all the body’s organs and systems. It is believed that when tension is allowed to build up around the spine through muscle imbalances, a person’s health will invariably suffer. Most health practitioners in the Western World however, do not focus on maintaining and preserving health by ensuring that the body’s muscular system and spine are kept in balance. They don’t seem to be as aware as Eastern practitioners that stress, (especially around the spine) can be minimised by maintaining muscular balance in the body. Whilst some of these health practitioners may pick up on muscle imbalances when they recognise a short leg in their patients, they don’t seem to have the expertise with the soft tissue of the body to affect a complete fix, or else they don’t have the experience to help with the more chronic cases. Some practitioners recommend that a lift be put in one shoe to make up for the leg shortness and shortcut the problems by trying to balance the body that way, but from my experience this is not very successful, especially with very active people. By placing a lift in the shoe you are actually supporting the imbalances that are present but are not doing anything to address the underlying cause of that imbalance or the damage it has already caused. It is fascinating that children with short leg syndrome suffer from an increased susceptibility to colds, runny noses, irritability and tiredness. It is especially rewarding watching tired and over irritable children improve immediately after having their body loosened and their muscles rebalanced. If you any of your family or friends has a history of chronic pain or bad health, check their leg length while they are in a relaxed position and lying on their back. You will often find that one leg looks longer than the other when you line up their heels. If they are the same length, then the pelvis, with its prominent hip bones at the front, could well be fixed in a crooked position. The amount of discrepancy in leg length can vary from 1mm to 30 or 35 mm which is about the worst I’ve seen, and the problems will often escalate the larger this discrepancy is. Having a muscle imbalance that tilts or rotates the pelvis is very common and the older we get the more common it is. However, it can also occur in the more active years -between the ages of 15 to 25 or so. I have even treated a 5 year old patient who was suffering from stomach pains caused by a pelvic imbalance. People in their 60s or 80s could have had the problem for as long as 40 to 60 years. Their soft tissue ends up becoming as hard as bone as a result of the many years of built up tension and a lack of blood supply to the soft tissue. Often accompanying this condition is every health problem `under the sun’. In contrast, those who have never experienced the problem of an unbalanced pelvis remain supple, sprightly and healthy well into their later years. I have treated patients under the age of 20 who have a fairly large discrepancy yet show no particular symptoms at all, other than occasional pain in their lower back, but that is simply because they have youth, elasticity, strength and flexibility on their side … for now. As they age, these symptoms will worsen to the point where it will begin to affect their health, yet they will fail to understand why modern medicine and treatments are not able to fix their problems and conditions. That is why it is so crucial to identify and address the problems of muscular imbalance and pelvic rotation early on in life, or when they first occur. Pelvic imbalances are as difficult to avoid and control as getting a puncture in your car tyre is. You can keep new good quality tyres on all the time and be careful to avoid pot holes e.t.c but eventually something unforeseen can happen. Of the thousands of patients I have treated over the years suffering from chronic pain, between 80 to 90% of them experienced health problems that were as a direct result of muscle imbalances which caused their pelvis to be rotated or tilted. Although this is a huge percentage, sadly our medical profession appears to know very little about the implications of this condition, and because they don’t diagnose it or treat it properly, consequently they are rarely successful in treating chronic pain. Once treated, all my patients reported being pain free or very much better when their muscle imbalances had been addressed and taken away. In my experience, I have found that illness and physical problems are more the product of deterioration of the body due to lifestyle, than they are due to ageing. Often when someone starts to develop pain or bad health in their 40s or 50s they are told: “Well you are getting older and you have to realise you can’t do all the things you used to be able to do”. They then look around them and wonder why it is that their friends around the same age or older don’t have the same ‘problems’? Have you noticed too that there are some 70 -80 year olds that still compete in triathlons and other gruelling physical sports and competitions? You might say that everyone is different, yes, but when you look closer, it is their lifestyles that have differed and led them to where they are today. Like your car, both your body and your mind need regular ‘servicing’ if you want them to last the distance of a lifetime. Regular exercise, a good diet and having your physical body re-balanced to release muscular stress and tension will ensure the longevity of your physical body. From the mind perspective you need to ensure that you take regular holidays, enjoy good friendships and, as far as possible, live in a happy and relaxed environment. It’s not all doom and gloom however, even when you have, for the most part, had a ‘bad’ lifestyle. What most people don’t realise is that the negative effects of our lifestyle can be eliminated from our body by regularly and consistently re-balancing the body to release stress and tension, and improve our diet to cleanse and nourish our system. It is well known that the mind affects the body. This is nothing new and is the belief of most health professionals, myself included, but, and I have to emphasise this – I believe passionately that it works the other way around too! The body also affects the mind. There are areas of the body that once blocked from years of accumulated stress and tension, cause confusion, memory loss, concentration problems, depression, anxiety and a multitude of other disorders and problems. As the body deteriorates so too does the mind. It is rare to find someone who suffers from pain and/or ill health who is clear and sharp in their mind. Nor will you find older people who are healthy, physically active and sprightly that are also vague, forgetful or confused. People who are under a lot of stress are encouraged to exercise regularly and they will tell you they cope with their stress much better when they are fit. Conversely, people under constant stress who neglect diet and exercise will often breakdown or suffer major failure of a vital organ as a result of stress and neglect. There is well documented evidence that suggests a strong relationship between the mind and the body. I have seen this for myself with the patients I work on physically. Just as accumulating problems in the body will eventually have negative effects on the mind, not living true to oneself and constantly suffering from mental pressure and stress will cause the body to deteriorate. Those of my patients that have stressful jobs and also play competitive sport get more than their fair share of injuries too. Often the best cure I give them is to take up relaxation classes, and teach them how to turn their mind and body ‘off’. I’m sure all of this information is of interest to Chronic Fatigue sufferers but you are no doubt more interested to learn how you can better manage CFS yourself. In my quest to solve find a cure for CFS, I have come to understand that one has to have a ‘big picture’ view in terms of treatment and incorporate the expertise of others who also believe in treating the body as a whole. To this end I came across a fantastic Herbalist and Naturopath who are also an integral part of the solution to the CFS problem. Many years down the track I am confident that any sufferer who rigorously follows the program I have devised for them will get better. Determining a time frame for when you will feel better cannot be an exact science because every case is usually so unique – it depends on many things such as your age, length of time as a sufferer, past lifestyle, fitness level, etc. The main aim however, is to get your energy and circulation flowing and balanced in order to ‘kick start’ the process of getting better. There are 5 things within your control that can help you achieve this more quickly too: Diet/ Nutrition, Exercise, Posture, your Mental State and your Bowel. Most CFS sufferers are already aware that they should only be eating healthy high energy foods, but you also need to be very aware of the acid/alkaline proportions contained in your foods – that is, what percentage of your food is acid producing and what percentage is alkaline producing. Too much acidity in the body is one of the underlying causes of stress and aftershocks of tension and blockages in the muscles. Interestingly, acidity also heightens the body’s sensitivity to pain. A correct and balanced diet consists of 80% alkaline to 20% acidic foods. Most western diets however, are the reverse of this – 80% acid and 20% alkaline – because they contain too much meat, sweets, white flour, dairy products and alcohol, which incidentally, are all acid producing. Therefore every effort should be made to ensure you eat according to the 80 % alkaline – 20 % acidic ratio. Should you not have one, I am happy to send you an acid/ alkaline information sheet that lists the acid and alkaline foods so please feel free to contact me at steve@myotherapy.com.au for a copy (at no charge). Another good tip for CFS sufferers as regards your diet is to eat rawer, fresh unprocessed foods and less cooked, processed and preserved foods. It is also a good idea to eat a few small meals (5-8) during the day rather than 3 big meals. Simple changes like remembering to eat slowly and chew your food well will help you get more value out of the food you are eating. And remember that, as has often been said, ‘digestion begins in the mouth’. Also try to eat a little something soon after activity/exercise, preferably within half an hour. Generally digestion can be a problem for CFS sufferers so fresh vegetable juice is a great addition to the diet on a daily basis. I cannot over emphasise the benefits of juicing. About 1 litre per day is a good amount to drink. It should be drunk fresh and not kept refrigerated. In addition to a healthy diet for those trying to recover from CFS, a special supplements program is necessary. It is important to incorporate amino acids, and in some cases protein powder, or hormone balancing (especially for women) because Chronic Fatigue weakens the body by breaking down the cells in search of back up energy. You need to rebuild the strength of the cells and a good nutrition/ supplement program is often the best way of doing this. Researchers from Newcastle Hospital in NSW have been recommending a supplement program using probiotics from Japan which has been giving CFS sufferers’ good results. A great probiotic I have come across is a product called ‘InLiven’, and I would recommend every CFS sufferer consider taking it, regardless of what else you might be taking. It is available from shopping cart. For those who prefer to consult an expert Naturopath, make sure you a probiotic that comes highly recommended. Remember that the food you put into your body is important because your muscles can only build strength from the nutrients in your food. This leads me to the next thing that will help you to manage your CFS and get better quicker – exercise. This can be a real problem for CFS sufferers because it usually makes them feel worse and it is difficult to see the benefit of something that is not, on the surface, helping you to feel better immediately. The most important thing to focus on when it comes to exercise is finding a level that you can cope with well enough that you will do it regularly. It is important to realise that you won’t get fast results or quick improvement with exercise and you may feel worse before you feel better, but it’s important to keep at it and in time you should see a positive result. The main aim is to get all the muscles in the body moving through their range of motion gently and regularly to begin with. About 20 minutes per exercise session, up to three times a day (morning, midday and afternoon) is a good length of time and duration to aim for. Even if you need to lie down for an hour after exercise that is a good trade off to at least get through the exercise routine. Do try however, to eat something small or drink some juice before you lie down. If you can’t cope with much exercise, start with just one session and over time build it up slowly. Remember though that whilst you need to make the muscles work, traditional stretching is not recommended. I would suggest you look at exercises like my SLM Yoga. Other exercises you could also try are Tai Chi, Qi Gong or Hydrotherapy (exercises in a warm swimming pool). These are all gentle on your body and concentrate on working your body as a whole, and in harmony. They also help to minimise the effect of gravity on imbalances in your pelvis and spine. Keeping even just a basic level of strength and fitness is an important platform from which you can recover. Exercises like swimming or walking on the beach should be left until much later when your CFS starts to improve. If you have an unbalanced pelvis, exercises such as walking, jogging, and riding a bike and other such activities will only make the tension worse. In addition to exercise, I highly recommend that you find a therapist who will ‘re-balance’ your body. Look for a therapist who works on your whole body in each session and also one who does deep tissue work – even though it may hurt somewhat. An ‘SLM’ Practitioner will know how to rebalance your body but this is not a widely known or practised therapy. If here is a therapist near you, you can find it on this list (www.learnmassage.com.au/directory). If you cannot find a recognised SLM Practitioner you may have to settle for something more general such as Acupressure, Myotherapy or similar. If you struggle to find any of these then even just a weekly deep tissue massage will go a long way to helping your recovery. Interestingly, and worth some consideration and thought, is that I have found throughout my many years in practice, that generally, people with CFS who, due to their lifestyle, have to keep working and pushing themselves along in life (only to a point of course) respond more positively and more quickly to treatment than those who lives revolve around CFS and who rest whenever they feel they need to. It may be hard to believe but Posture is a great contributor to combating Chronic Fatigue. Think about it. Posture affects everything you do throughout your day whether it be sitting, standing or walking. Consciously straightening up and keeping your body balanced and correct will eventually stabilise your spine and pelvis. The muscles around your spine are just as important to your body’s functioning as the muscles in your stomach, or your ‘core’ as it is often referred to – which is essential for upper body strength and stamina and the continuous flow of energy through your system. Your posture, supported by your spine, is essential to overall body balance – and with CFS it is all about keeping your body in balance. There are also other therapies available to correct posture which get can give good results – the ‘Alexander Technique’ and ‘Feldenkrais method’. If posture is something you know you need to work on it may be worthwhile trying to find a specialist near you. It is imperative to de-stress your mind, best done through meditation. In so far as is possible try to maintain a happy lifestyle and keep a positive mindset in order to have the best mental state possible for recovery. If you need it, seek out counselling or hypnotherapy. It is important to recognise whether you are by nature a worrier and if you are, then dealing with this and learning to manage it is very important to the overall success of overcoming CFS. I have discussed the mind/body link in depth earlier in this article so please refer back to that for more information. The final thing you need to focus on once you have taken care of the physical body or better yet, while you are still doing that, is your bowel – an important consideration especially for Chronic Fatigue Sufferers. The collection of waste in an inefficient bowel can definitely impact a sufferer’s recovery even after they have fixed their pelvic/ muscle imbalance and put themselves onto a healthy diet and exercise program. Bowel cancer is a major problem in the western world, and this is directly affected by diet and lifestyle. With the patients in my practice I have found that an unhealthy bowel is a major contributing factor to CFS in nearly all the sufferers I have treated. In order to prevent this bowel problem, I would recommend a cleansing program at a colon health clinic or suggest you try using In Liven’ a fantastic product offered through our clinic which can make a significant difference to bowel function, especially in older sufferers. Drinking alkaline water instead of tap or purified water is another good way to help the bowel. Purifying water yourself using prill beads can be very economical. Hopefully the tips and information I have provided you with will help you to minimise your recovery time after a CFS diagnosis. While there are never be any guarantees, I am confident that this information, combined with my SLM treatment and therapy, will help propel you to a quicker and less challenging recovery. The speed at which you do this will depend largely on your past lifestyle, your diet, exercise and stress levels as well as your determination and commitment to getting better. I cannot reiterate and advocate enough how important it is to get your body into a balanced and unblocked state. Never underestimate the contribution that the condition of your spine, the underlying muscles in your body, and your pelvis have to your condition and how releasing and treating these areas can help your recovery. Your body needs to be rebuilt and re-strengthened again which will take a lot of effort on your part, but I believe in what I do, and I have witnessed many sufferers in my own practice making a complete recovery when they have followed my suggestions and treatments. The article is very helpful. It contains everything from the cause of the condition, treatment, diet and very useful information. I have practical experience of using SLM on many clients and the results are amazing. I use SLM therapy 90% of time in my practice. Keep up the good work Steve and train more therapists for this wonderful technique. I am working on a client with MS and she has improved physically. She was in wheel chair for 3 years. She manages to stand up and take few steps. She also got courage to go swimming and enjoying her freedom. I will let you know of her progress. Very informative. Provides an insight that there are simple steps sufferers can take to help find their way out of the maze of CFS. The article is lengthy, but hang in – it’s worth it. I read your article with great interest. 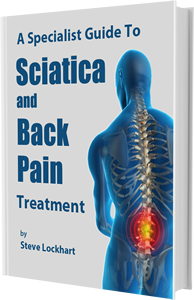 I have suffered with sciatica for many years and have tried all sorts of treatments. I firmly believe that the pain killing tablets are the worst treatment due to their side effects, and to be quite hones, ineffectual reaction. I have tried exercising, but by reading your article, I realise perhaps I have been doing the wrong type of exercise. Having been told at times I am a hypochondriac, malingerer, sufferer of MS and have nerve damage, I am wholeheartedly sick of the whole thing. I shall take your suggestions on board and hopefully things will improve. Hi Steve is there anyone in wa who you can refer me to in order to balance my body physically? Have a look at the self treatment program as well, as a way of assisting that process and cutting down on the time it will take. My directory at http://www.myotherapy.com.au/find might help you Garth. hi. i’m very interested in what you wrote and i am impressed with your perceptiveness. my story can confirm what you say steve. 7 years ago i was living in switzerland and suffered a terrible snowboarding accident. after that, i felt like my ribs were poking into my spine, my knee and ankle and hip started to hurt. i went to a zillion doctors/osteos/physios etc in switzerland, had the poop radiated out of me to find what was going on … but nobody could help. then i returned to australia. i started having problems with my digestive system and the muscle pain and joint pain were hell. needless to say, i was very stressed from the pain and frustration. upon returning to australia, i proceeded to fly to every so called guru physio, chiro, osteo etc. what a waste of money. i did see steve 3 times and felt very relaxed but i lived a long way from him and got sidetracked and went off more on the osteo tanget. also, i was taking a heap of vitamins etc and that, i realise now, only made my condition worse. then 2.5 years ago (4.5 years after the accident), i developed chronic fatigue syndrome. i have suffered nausea every day for the last 2.5 years (amongst other symptoms). i am now ultra sensitive to fats, oils, plastics, metals, chemicals, medications, vitamins etc. i have a masters in engineering but have not been able to work for the last 2.5 years. i rarely leave the house now. i realise now that the stress that i felt over the discomfort in my body also hasn’t help my muscles and body. when i think about what stress can do to the body, i think about what happens when you catch a fish and let it flip around when you put it on land. it gets very stiff to eat. i imagine that’s the stress hormone’s effect on the muscle tissue. over the last 2.5 years i’ve found that i can eat only fruit, organic vegetables, organic oats, cook in glass and use wooden spoons to minimise the worst of the symptoms (i’ve had to keep all toxins away from my underfunctioning nervous and digestive system). but the nausea and fatigue and muscle tightness still remain. needless to say, seeing a truckload of doctors to figure out what started to go wrong 2.5 years ago was another big waste of money. but i did find out that i had a very tight twist in my bowel next to my left ilium and i had learnt about 4 years ago that my pelvis and rib cage were very badly twisted (more than one therapist who at least had a clue told me i’m the worst they’ve ever seen). manual correction techniques for the pelvis and spine (which i now do myself) i have learnt are only a temporary fix. anyways, 4 months ago, i discovered that the nausea was coming from my spine. i was too sick before that to realise where it was originating. i realised (from looking in the mirror) that vertibrae 7 and 8 are rediculously deep into the spine and that the whole spine and neck are not happy at all. i realised that over the time, from not being able to correct this terrible all over body malorientation (despite the zillions of hours and dollars i’ve spent)- all my body systems, in particular, my nervous, digestive system and muscular systems, have deteriorated. i think this has occured through the impeeded enervation (from the spine) to the digestive organs/muscles and the mechanical misorientation of my digestive organs. my left leg is "functionally short" due to my pelvic misorientation and the left hip is ultra tight and sore. so after 4 months of dedicating stretching for hours every day (along with my ultra clean diet and lifestyle) (and seeing a non SLM massage therapist up to twice per week) i have made very little difference to the nausea or my spinal/rib/pelvis orientation – even with self pelvic correction. so now, as of a couple of days ago, i’ve decided to follow steve’s recommendations dedicately … deep massaging on myself as best as i remember how he did it. i don’t have an SLM specialist nearby and haven’t been able to convince any massage therapist that i’ve seen to do his technique (because their’s definitely doesn’t make a difference – i think they don’t go hard/deep enough and they don’t know how to properly lengthen the muscle like i’ve seen steve do). i remember steve telling me when i saw him that over time, the tight tissue changes/improves and that i have to go deep into the tissue. many therapists i’ve seen tell me that you can make the muscle spasm if you go too deep and that you don’t need to go deep to make a difference to the muscle but they must be talking about normally functioning muscle. in my case, where there are many muscle "rocks" and underfunctioning muscles, i can’t see any other way to try to impart the blood supply again. after only about 3 days of dedicated deep self massage, i actually do feel some changes in my body. but i know it’s going to take quite some time to impart a permanent change because it’s been 7 years like this, 2.5 of those with the nausea. some muscles i have yet to find a way to go deep and lengthen myself (like my hamstrings). i’m currently using a rolling pin for those but it’s not working so well. i’ve also been massing/poking deeply my pelvic muscles and intestines in my abdomen and feel quite relaxed afterwards. i’ve thought that if i do recover, it will be my moral responsibility to help others like me through what i learn through (SLM bodywork) and my own experience with dietary and lifestyle changes. Hi Leesa, you sound like a good candidate for our Thailand conference where you will benefit from 2 weeks of daily treatment and the SLM Yoga and water exercises everyday. Something like this conference would not be the final solution but it would get things started well and leave you well trained in what to do when you return home. I am a 16 year old girl who is suffering from a chronic back pain problem since I was about 13 or 14. My parents have been taking me to doctors after complaints of sharp pains down my spine and tingling and numb feelings down my legs. when ever I sit down or bend over I get a burning sensation in my lower back and now lately I have been suffering from a chronic shoulder problem that also has the same burning sensation and sharp pain not only in my shoulder joint but on my deltoid as well. Email me directly at info@myotherapy.com.au and I will be able to help you. Hi Steve. My husband had a twinge in his back a fortnight ago. Has been to doctor twice and physio twice with no relief. His buttocks and thighs are constantly spasmimg and his knees are sore. He is on strong pain killers and is becoming dispondent. He had always suffered from a dull ache in his lower back and often gets upset stomach He is sged 57 Do you know of any one based in the Noosa area that could help. Many thanks. Lyndy. to chechk out yourr website on mmy iphone duuring lunch break.